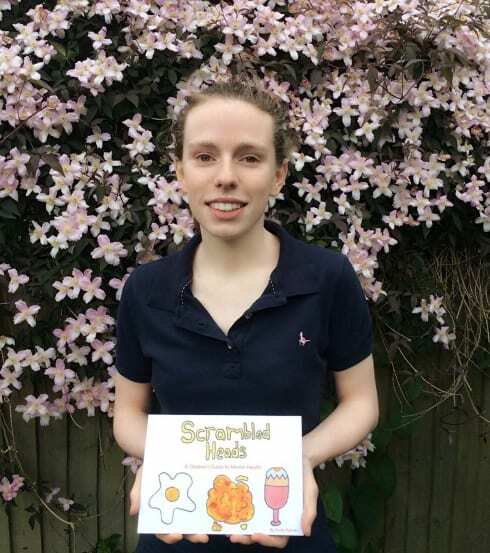 24 fingers is proud to introduce Emily Palmer, author of Scrambled Heads, a book created to help teach children about mental health. 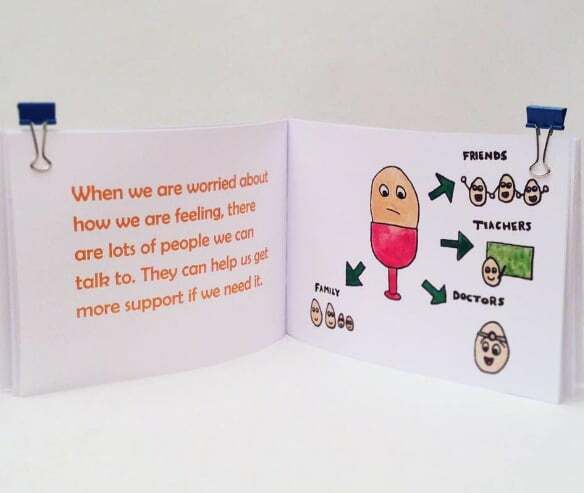 During Mental Health Awareness Week, 24 fingers’ founder Emma Goode spoke to Emily about the inspiration behind the book and the social media campaign supporting it. Emma Goode: Emily, I understand you’ve been through your own struggles with mental health. What part did that play in inspiring you to write this fantastic book? Emily Palmer: Yes, it inspired me greatly. I remember going to hospital as a child for minor operations and seeing children’s books about going into hospital and what to expect. They had been specifically designed to help young people understand that what was happening was normal and allay their fears, but there was nothing like that for mental health. It made me realise there wasn’t anything available to offer help and support. And you know, not everyone has the guts to ask if their feelings and thoughts are normal. Emma: What support do you feel is missing for young children? Emily: Again, looking back, I had struggled early on as a teenager because I had no idea what was going on really. I’d never heard of the term ‘mental health’. I think we need to educate children from a really young age, at primary and junior schools. We teach children how to brush their teeth, how to get dressed, that if something hurts, you go to your parents. Mental health needs to be treated in the same way; the level of education needs to be the same. Emma: What do you feel is the biggest block stopping a child asking for support? Emily: I think a mixture of shyness and embarrassment, especially if you really don’t know what the thoughts and feelings actually are. It can be hard to explain. And there’s still a stigma attached to it. It’s not as easy to see as a broken arm. Emma: Scrambled Heads has received a lot of support. Can you tell us a little more about who helped you along the way? Emily: It was really important for me to know the book was as accurate as possible so that as many people as possible could take something from it. I spoke with lots of parents and educators to ask if this was something they could use. It was great to have their advice and input. They’re always looking for relevant content to use, especially content that speaks in a language that children can relate to. Emma: How has social media helped? Emily: It’s been one of the most vital parts actually because word of mouth can only take you so far. Lots of celebrities have come on board and lent their support including Denise Welch, Nick Knowles, Alastair Campbell, Dr Christian, Lorraine Kelly to name a few. That’s really helped open doors and increase the amount of people who get to hear about the book, across all different walks of life. This week, it’s also been featured by Huffington Post and BuzzFeed – the reaction has been fantastic. As we get nearer to the 1,000 copies sold milestone, I keep thinking that every book sold is helping at least one more child. Emma: That’s incredible, really great work. Has the feedback you’ve received inspired you to do more around this issue? Emily: The book has inspired me in knowing that something so simple has made such a difference to people’s lives. I’m now thinking about how I can use my experience to help people in the future. It’s not an issue that’s going to be solved overnight. Scrambled Heads can be purchased via Amazon here. We wish Emily all the very best with the book and thank her for her efforts in raising awareness around mental health issues.